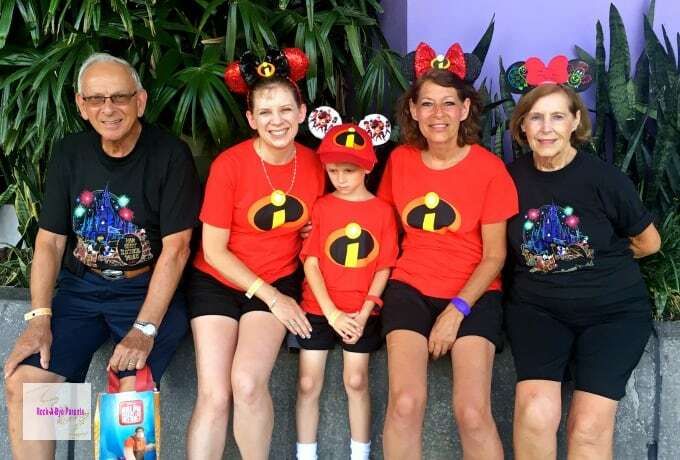 If you love holidays then one of my best Walt Disney World vacation planning tips is to visit Disney World during them. For Halloween fans there is a lot of fun to be had at Disney. Especially if you attend the Halloween party. 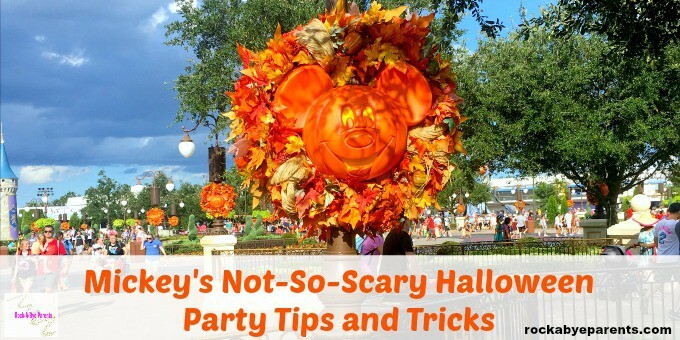 To make it even better I’m going to share my best Mickey’s Not-So-Scary Halloween Party tips with you! Mickey’s Not-So-Scary Halloween party is a special ticketed event that is held in the Magic Kingdom on select nights in August, September, and October. While many places host scary Halloween events Disney’s holds up to it’s name. It truly is not-so-scary and is a lot of fun for the entire family. On party nights the event officially starts at 7:00 pm and runs until midnight. 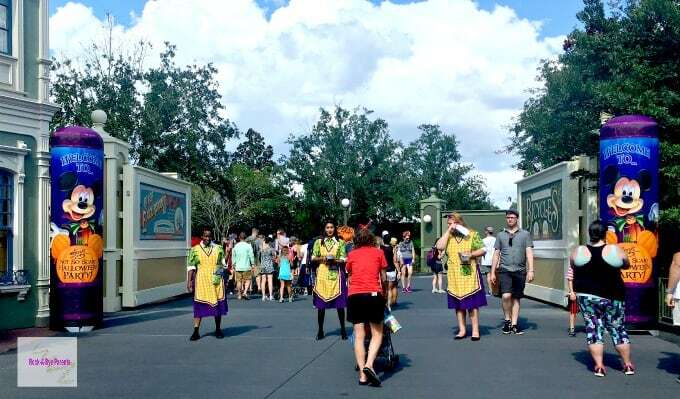 What many Halloween party guests don’t realize though is they are allowed to enter the Magic Kingdom as early as 4:00 pm! 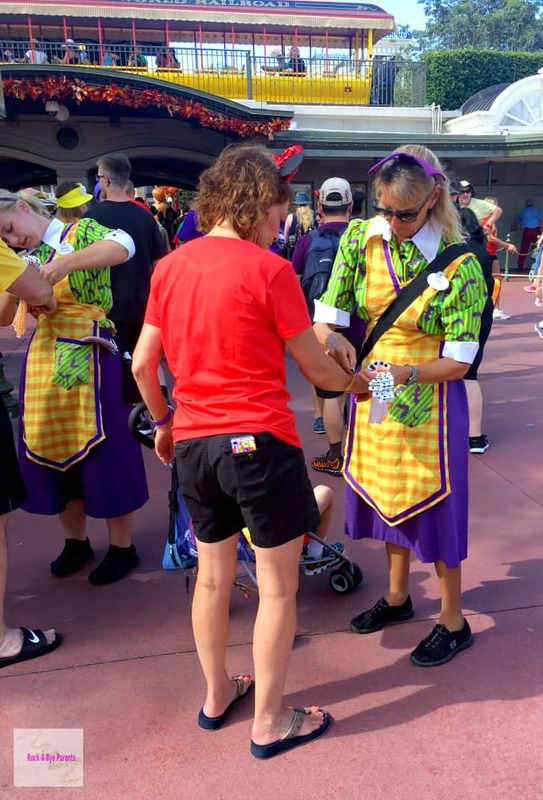 In fact, not only can you get in that early, but you are able to pick up your trick-or-treat bag as well as your treats from the Main Street, U.S.A treat location starting at 4:00. While most of the events don’t start until 7:00, those extra 3 hours can help you get the most out of your party time. Use the extra time to visit some of your favorite attractions that won’t be open during the Halloween party. The extra time is also great for grabbing some dinner so you won’t have to use your party time to sit and eat. That being said, don’t waste your time getting a table service reservation. Table service meals are not meant to be rushed, so they can easily take an hour of your time. Unless you get a very early reservation for right when you get in you are far better off doing a quick service meal. Halloween is a lot more fun when you get dressed up in a costume. That’s half the fun of the holiday! When picking out a costume though pay attention to what they Florida weather might be. We attended Mickey’s Not-S0-Scary Halloween Party on August 17 which was opening night. It was so incredibly hot! We were seriously melting, and we had not worn hot and heavy costumes on purpose. If costumes aren’t your style consider wearing a fun Halloween shirt to the party. Adding some themed Mickey Mouse ears are a fun and easy way to add a little extra to your costume or fun shirt. That’s what we did and we all loved our special ears. Trick-or-Treating is something that most of us have not done in many years, but at Mickey’s Not-So-Scary Halloween Party everyone gets a chance to go around in costumes and get candy. Even my 80 year old grandparents were getting in on the action. Your party map will show you all of the treat locations, but here is a look at where you’ll find them. Only the Main Street, U.S.A. location is open before the party starts, but it also closes at 8:00, so make sure you hit that one right away! Especially since you’ll receive a big treat pack at that location. Plus it’s a great spot to get your treat bags. Do you have someone that has a food allergy in your travel group? No worries! One of my best Mickey’s Not-S0-Scary Halloween Party tips is to pick up a teal treat bag (Disney’s play on the Teal Pumpkin Project) at any treat location. There are also two official allergy-friendly centers. One is on Main Street, U.S.A. in the Town Square Theater and the other is in Liberty Square in the Liberty Square Ticket Office. Besides Trick-or-Treating treats you will also find specialty food treats for purchase in several counter service restaurants. 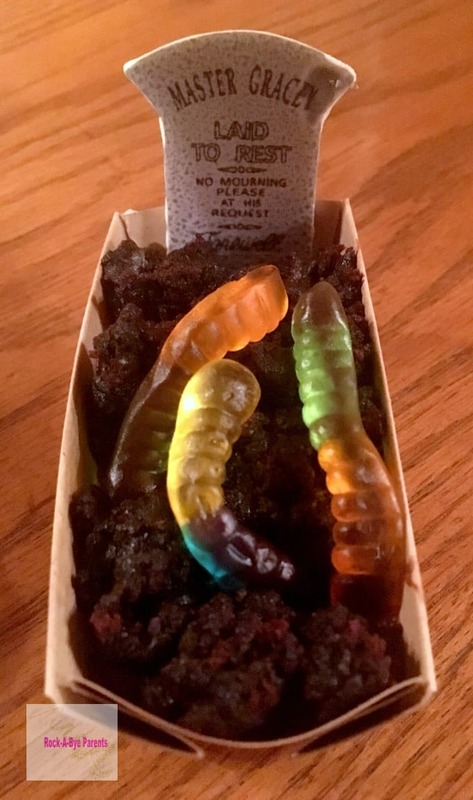 We headed to Pecos Bill Tall Tale Inn and Cafe to try out the Worms and Dirt Dessert. It was really cute. Especially the headstone. I have to admit though that it was very small for the $5 price tag. It also was more of a chocolate pudding with Oreo crumbs then a true dirt dessert such as my Dirt Cake recipe. Still it was a fun treat to have at the party. Mickey’s “Boo-To-You” Halloween Parade – Masquerade with Costumed Characters for a night of family-friendly frights! Happy Hallowishes Fireworks – Delightful frights fill the night as favorite Disney Villains conjure up an unforgettable Halloween spectacular! Monstrous Scream-O-Ween Ball – Join Mike Wazowski and Sulley for this monstrously fun dance party! On top of all of these fun events, there are also lots of fun character meet and greets. These character appearances are special for the Halloween party. They include rarely seen characters as well as your regular characters dressed in their own Halloween costumes. More details can be found during the party on your My Disney Experience app. Mad Tea Party – Go for a colorful ride with new lighting and effects. Plus depending on your costume color it might transform under the new dancing lights! Space Mountain – Hurdle through space with a new soundtrack while the ride is in complete darkness. As a side note, this was incredible! It was worth the party just for this experience in my opinion. 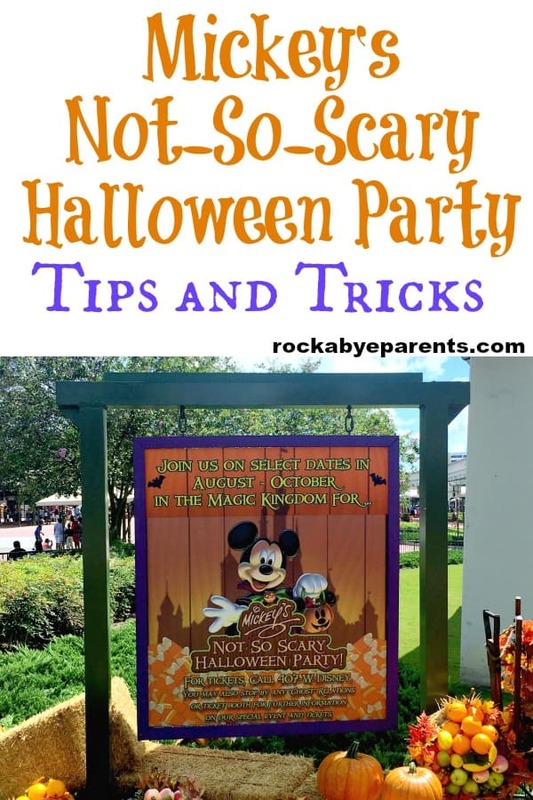 When it comes to Mickey’s Not-S0-Scary Halloween Party tips there is none better then to go in with a plan. The party lasts for 5 hours, 8 if you take advantage of the extra time, but you’d be surprised by how fast that time flies. We were at the party until almost closing and weren’t able to fit it all in. Do you want to do the shows? Are you a big character fan? Know what activities, events, and rides are most important to you and make sure you do them. The Halloween character meet and greets as well as the Halloween fun rides had long lines. If you plan to do a lot of those be prepared to spend a lot of time waiting in lines. When you attend these special ticketed events those special extras are what these events are all about tough, so make sure you take advantage of those. If it’s hot when you visit consider waiting until later in the night to trick-or-treat. Otherwise you may end up with a lot of melted chocolate. I had a Dove bar that became pure liquid in it’s wrapper. Although we did attend on August 17, and it was crazy hot that day. Some of the trick-or-treat lines might appear long, but the cast members keep them moving and they go quite fast. Trick-or-Treat lines are shorter later in the evening. The parades and firework show are very popular. They are a great time to find shorter lines if attending them isn’t on your must do list. 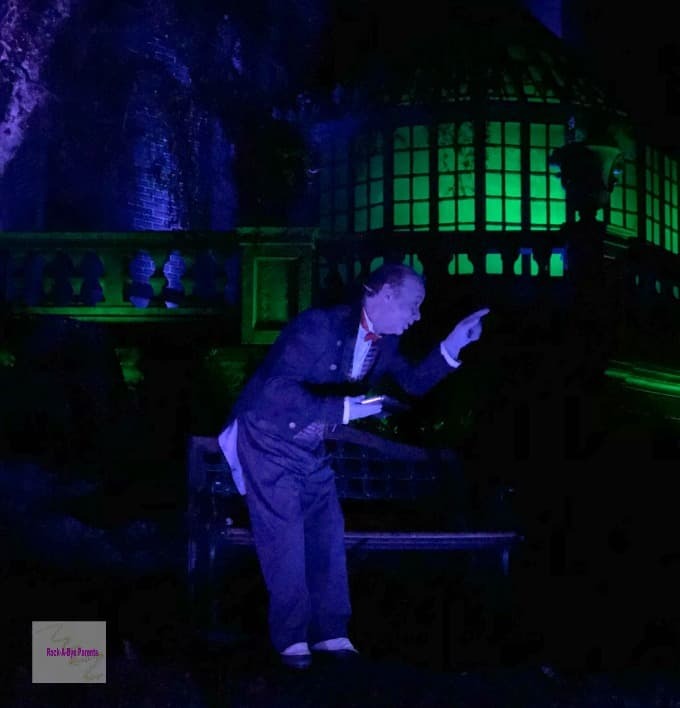 Make sure to stop by the Haunted Mansion. Some friendly haunts will be outside for a visit and to tell their stories. This is a must see! Finally, buy your tickets in advance! Not only can the Halloween parties sell out (and many this year have), but tickets at the gate will cost you more money. Not sure how to purchase tickets? As a Disney Travel Specialist I can help. Send me an email and I can help you obtain your tickets. My email is Elizabeth.Atwood(at)dreamfindertravel(dot)net. Finally, have fun! 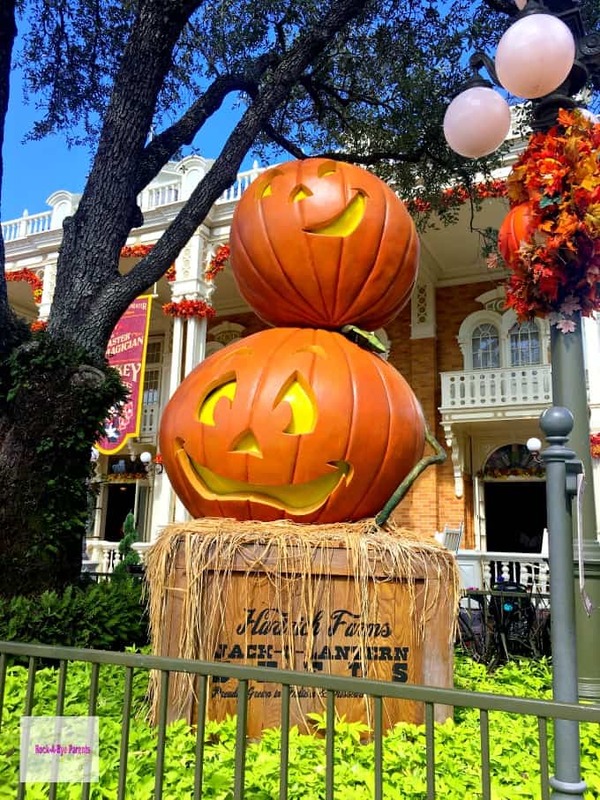 Mickey’s Not-So-Scary Halloween Party is a really fun event that is a ton of fun for the whole family! Start Your Planning with these FREE Disney Vacation Planning Videos!